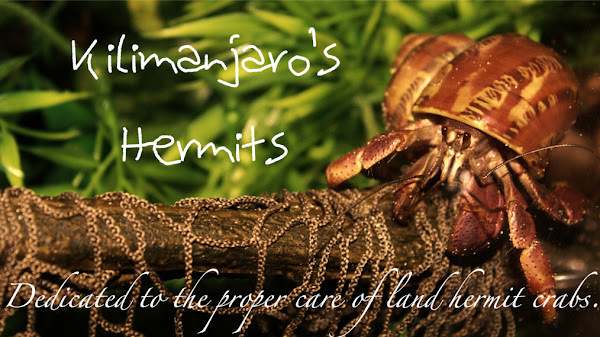 Kilimanjaro's Hermits: The Complete Different Species Guide! The Complete Different Species Guide! Whew! It took a while, but I finally managed to complete the research of The Different Species on the HCC Caresite. The information provided is accurate and taken only from different accounts of people. I am glad to say it is one of the best species accounts on the web. Check it out here. So, check it out and tell me what you think! Currently, there are two crabs digging down. Lanikai, my Straw, is underneath the cocofiber and I am really worried about her. Straws are known to have a hard time molting and I hope everything is alright. Even worse, I believe Mako is right next to her. Mako is a PP and I am less worried about him. But currently, after all of these deaths, I am worried about every member of my crabitat! I hope all goes well. "Dang! Those pictures look great!"